I first ran the Barking ELVIS back in 2016. 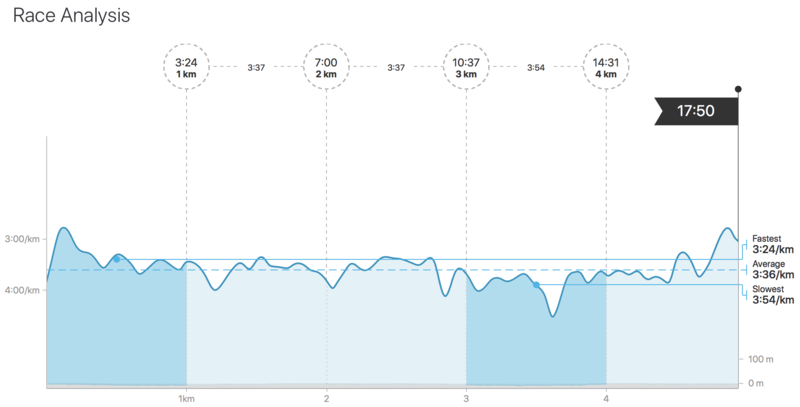 My running was ‘okay’ back then (far from perfect, but I still managed 18:11). 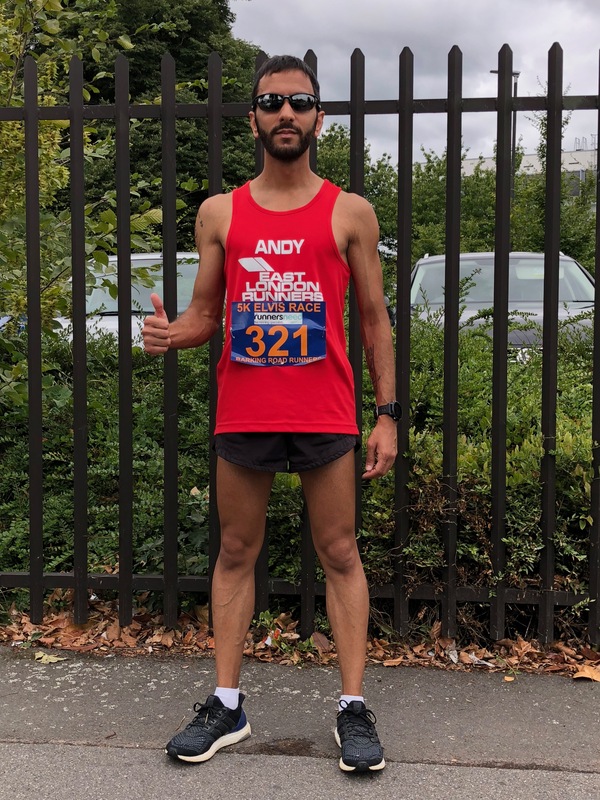 I had a very disappointing start to the year, dropping out of quite a few big races (The Big Half comes to mind), and then had a very frustrating time in mid-May when I couldn’t even break a sub-20 5k and got a hugely disappointing PW since 2015 of 42:00 for the Vitality 10k. I knew something had to be done, so started to focus of speed-work, going to parkrun consistency every week to push myself for a timed 5k, and waking up pre-6am before work to get some quality training in. I have also frequently been running twice/day. Weekly mileage has still been pretty low (in comparison to what I used to do a few years ago) but I was still running around 50-55km/week for the past 8-10 weeks or so. My main aim for the Barking ELVIS was to run it in sub-18. I arrived in Barking park ahead of time and engaged in a warm-up consisting of an 800m run and various stretches, with a few strides. I saw some friendly faces at the ELR gazebo and we then made our way to the start-line. It was a very congested start, and I lost a few seconds as I crossed the start line. I had to go to the side and speed off a little to get ahead. I managed to get into a clearer zone around 200-300m in, and checked my watch for the pace. I was on for the first kilometre in 3:16 which was way too fast! Although I felt good, this was clearly not a sustainable pace. I slowed down ever so slightly, and pushed on. By this point I saw runners like Mark Boulton overtake me, and I knew that was no bad thing, as these were clearly sub-17 guys. I then saw Russell Price creep up on me. I finished the first kilometre in 3:24. My mouth got quite dry, but I felt in control after this. I tried to hold on to Russell, who was now a few yards in front. The second kilometre was done in 3:37, and then the third in 3:37- still on target for my sub-18 goal. By the time I was on the second lap, I then managed to pass Patrick Brown, which was a huge surprise as I know that he is a very fast runner. The fourth kilometre back along the river was tough, with a headwind which slowed my pace and the forth kilometre was finished in 3:54, which is very slow for my goal today. Once I was back into the park though, I powered through on the final kilometre. I tried to pick-up the pace with around 400m to go, but it was too early. I sped up, then slowed down just as I approached the home stretch and 2 or 3 guys overtook me (including Dan Gritton). But I then somehow managed to find a little energy, and with the finish line in sight gave my strides a kick and overtook these guys once again, apart from Dan who had bridged the gap too much for me. Hello Andy, it’s been 3 years since I’ve followed your blog and your facebook. This is my first time commenting on your blog. I appreciate your lifestyle. I didn’t like sports, but now, no matter how busy, I try to spend 2 hours every day going to the gym. I felt very tired from the beginning, and now I have no pressure to run for 45 minutes. I spent almost 3 months. It is obvious that the physical condition is different from before. Thank you for always insisting on updating your blog, and also motivating me to stick to fitness. I believe your status will get better and better.